Ray Campi (b. 1934 in Yonkers, New York) is a distinguished musician often called The King of Rockabilly. 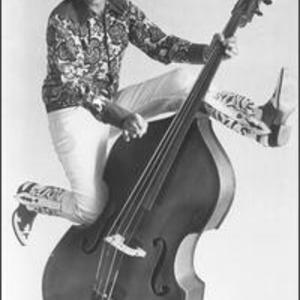 Campi's trademark is his white double bass, which he often jumps on top of and "rides" while playing. After his family moved to Austin, Texas in 1944, Campi began a lifetime of performing and recording music in numerous American genres, including folk, country, and rock and roll as well as rockabilly. He rarely concentrated on his musical career exclusively, working a wide variety of jobs, notably twenty-five years spent as a high-school teacher in Glendale, California. After his family moved to Austin, Texas in 1944, Campi began a lifetime of performing and recording music in numerous American genres, including folk, country, and rock and roll as well as rockabilly. He rarely concentrated on his musical career exclusively, working a wide variety of jobs, notably twenty-five years spent as a high-school teacher in Glendale, California. Campi worked with many of the most prominent pioneers of rock and roll music, including Bill Haley, Buddy Holly, Elvis Presley, and Gene Vincent. He has fiercely criticized the mainstream music industry, in particular its connections with drug culture. Ray Campi is a member of the Rockabilly Hall of Fame.